I had to split the machine into 2 parts to move it from the drive to the workshop. Even so it still hurt, total weight of the mill is around 95kg. As you can see in the image on the left the column is bolted to the base with 4x 10mm bolts and 2x dowels that are used to align the post. This immediately solves one of the issues that I had with the Amadeal mini mill in that the column wasn’t stiff enough. My simple measurements show that this Sieg SX2.7 static stiffness is roughly 4x higher than the mini mill. The image to the right shows the column with the head still attached laying on it’s back. The dowels work well aligning the column (a fairly fundamental engineering technique well executed here), plus as you can see on the base there are two machined pads with a lower rough cast central section on the base. 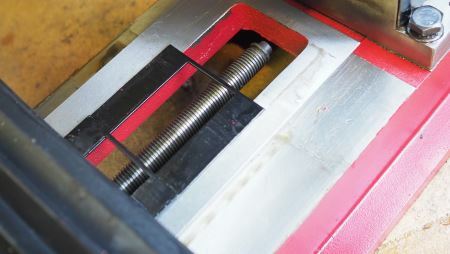 These two parts fit together well and the 10mm bolts provide a good clamping force. 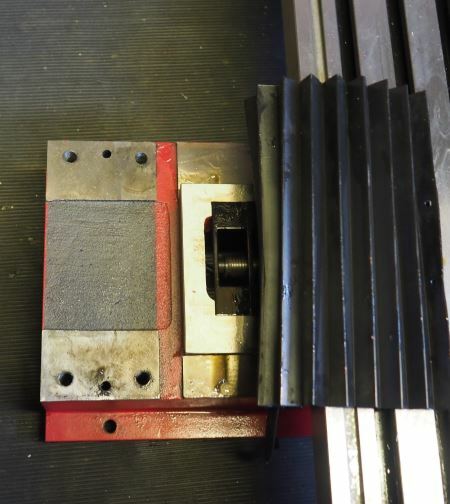 The downside of this simple arrangement is that neither the head or column tilt and so all machining is square on, unless you buy an angle plate or vice that can be set at an angle – this latter option is a far better option than a tilting column that by nature is not very stiff. The Sieg SX2.7 (red) feels like it is 1.5x to 2x the weight of the Mini Mill – albeit a heavily modified Mini Mill (white). The leadscrews on the Sieg are both 16mmx2mm along with dials very clearly marked at 2mm per rotation. 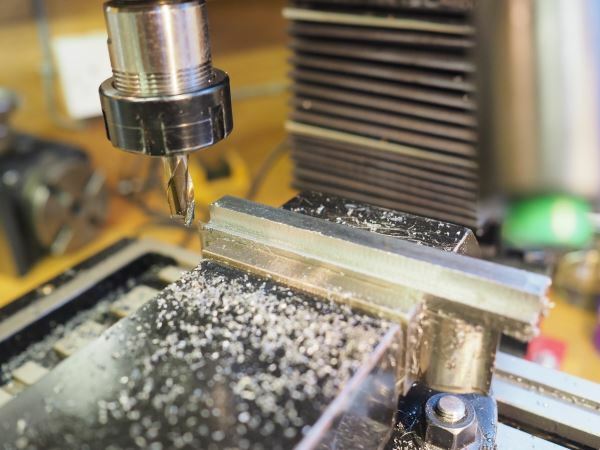 The Mini Mill leadscrews are 1.5mm pitch with dials that are marked 0.75mm per rotation – you can get a set of corrected dials to make life much easier with the Mini-Mill and I would advise doing that straightaway. The leadscrews are well protected with bellows between the column and the table and sliding plastic cover-plates between the dial and the table. As you can see in this image and others the slides are much larger and wider than those on the mini-mill. This adds significantly to the overall stiffness of the machine and reduces any play. The machine arrived from Arceuro trade with an MT3 drill chuck and a small set of tools. The tools are much better quality than what I got with the mini mill some 8 years ago. I chose MT3 as I have a lot of tooling already and so allows me to keep the cost down a bit. 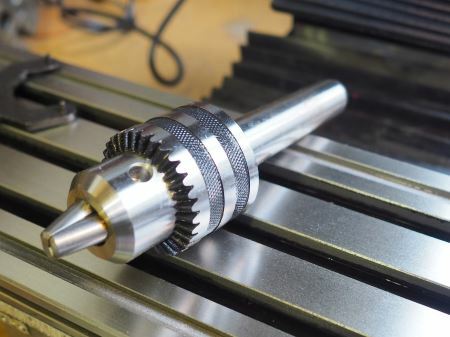 I immediately removed the chuck and fitted an ER25 collet chuck as this is the mainstay for me with a milling machine. 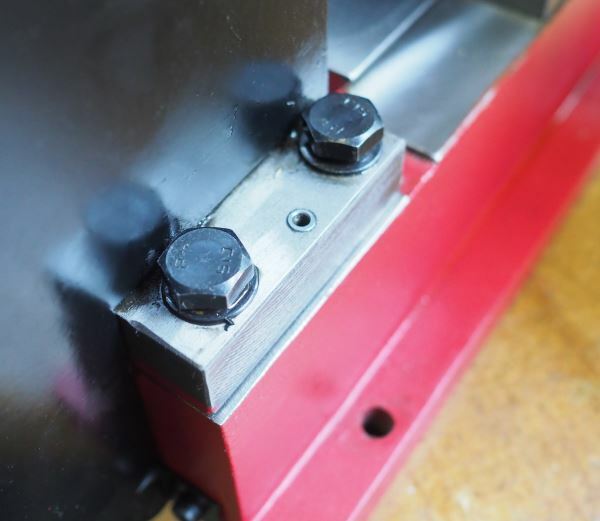 The easiest way of removing the taper is to lock the quill (see later image in this article) and then release the captive allen key bolt on the top of the spindle as this will then force the taper out of the spindle. 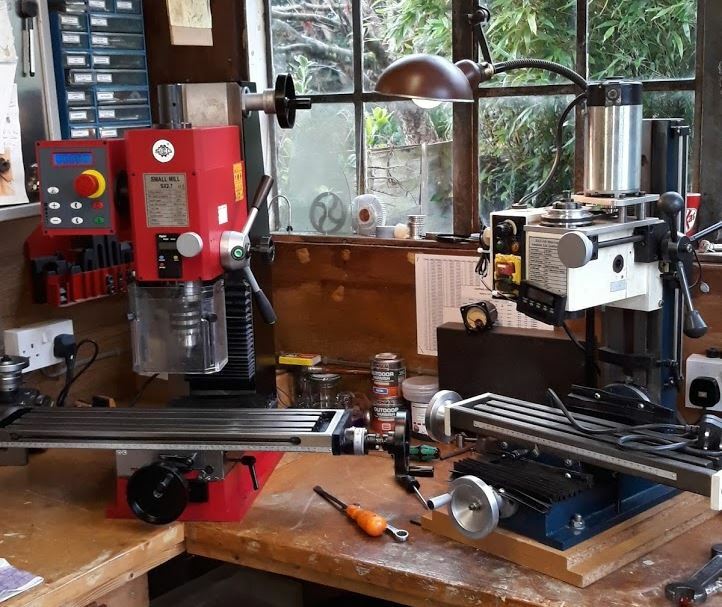 The table on the Sieg SX2.7 is 30mm wider than the Mini Mill it replaces and the overall length on this standard model allows me to easily have a Soba vice at one end as a permanent fixture and still have enough room for me to fix a rotary table or to just clamp items directly down to the table. Initial impressions: well, after setting it up I decided to complete the T-nuts for the rotary table. The speed control is superb, with a push button increase and decrease. If you stop the machine it will remember the speed when you then hit the start button and gradually comes up to the required rpm. Being able to see the set speed in rpm is nice. The Quill lock was not obvious to me at first and was pointed out to me on the Model Engineering Forum. The lock is on the left hand side of the head as you’re looking at it. A label says Unlock <-> Lock and is stuck around a caphead bolt head. You need to lock the quill between adjustments when milling and when you want to unlock the taper against the captive bolt on the top of the spindle. The carriageways lock very easily and the fine feed works well, although I need to get used to it as it can be a tad jerky and not as fine as I had hoped. I will see how I get on using the main head feed instead of the fine feed. The machine is a real step up from the Amadeal XJ12-300 – what I believe people call a mini-mill or X2. Even on the first day the stiffness improvements to the column and width of the carriageways shines through. Plus great service from ArcEuroTrade. 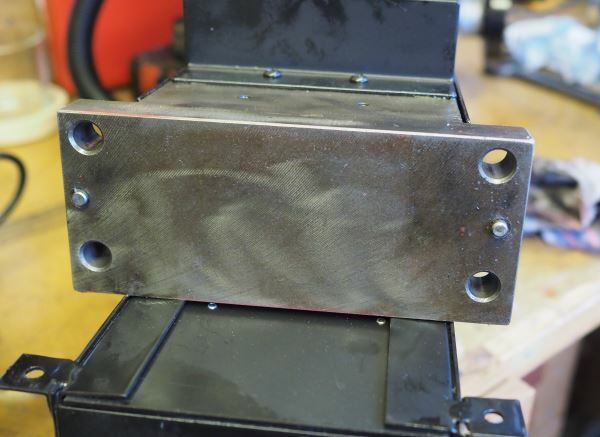 Milling Machine Stiffness – Measuring the stiffness of the Sieg SX2.7 milling machine. From my measurements the static stiffness of the column is around 4x that of the mini-mill. 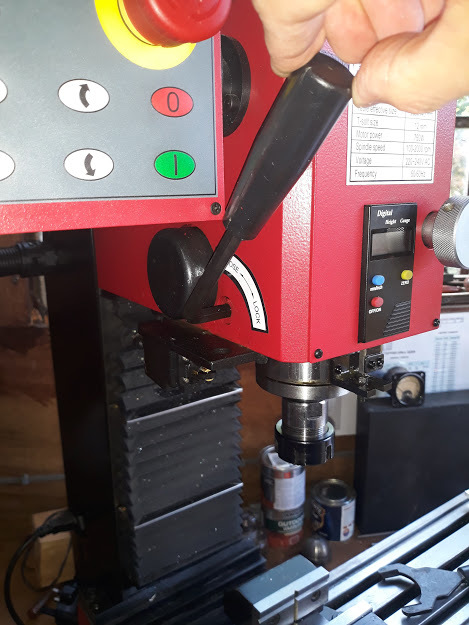 Milling Machine Z-axis Accuracy – an attempt to measure the accuracy of the head and quill along with a measurement of what happens when the head is locked. Are you generally pleased with the SX2.7 Mill? I’m now ready to install a Mill with R8 Taper. I’m torn between the SX2.7L and the SPG 2217-III Belt Drive & Brushless. I’m really happy with the WM240. 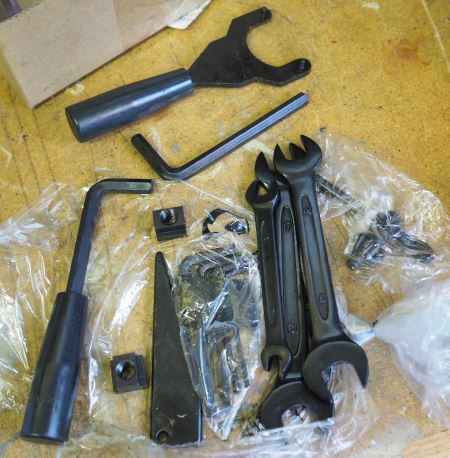 I’m about to set up my hobby workshop for retirement enjoyment with no specific end product in mind. The WM240b is in my sights. If you had to do it over again, would your still go for the WM 240b? Also, why did you decide on the SX2.7L over, let’s say, the Amadeal AMA 25LV or Warco WM16b? I really like the WM240B as I like the simplicity of a motor and a belt drive – my rebuilding of the switch was very simple. However, a colleague has the latest WM250V with the inverter drive and he loves it. It is double the price though. I must admit that I have thought of changing mine over to a 3 phase motor and adding an inverter as I would then have the best of both worlds. 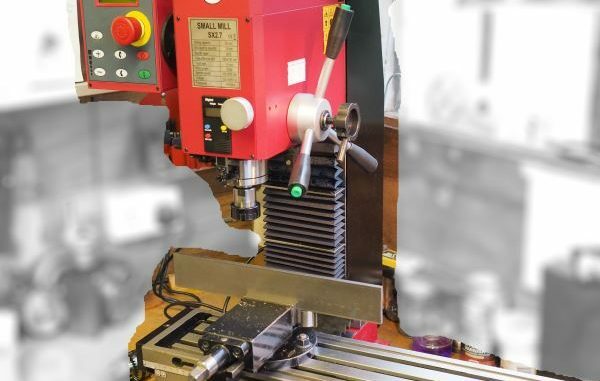 For the milling machine, I’ve owned the Amadeal XJ12-300 and this is a good machine, but I would avoid reduction gears as then are just so noisy on these small mills and the chatter comes through into the tools and cutting. The Sieg SX2.7 has quite a wide table and a wide footprint on the Y-axis bed as well – this does mean it is very stiff. 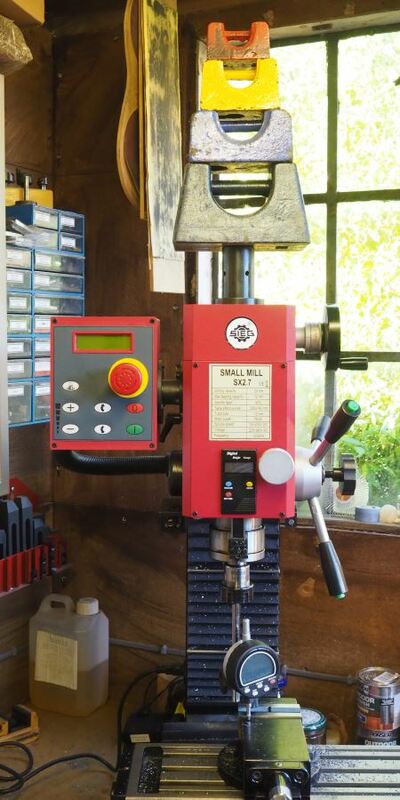 I’ve added quite a few articles now on the website comparing these milling machines in different ways. The Amadeal 25LV looks interesting, would need to see one and try it for a while to get a real feel for it. The WM16B I’ve only seen at exhibitions, my impression was it just felt a bit small and the jump to the WM18 is a bit too big for my workshop. I looked at the Wabeco, but price in UK is just too high for me. I now realise that the 240B may be physically too big (length wise); pity. Now considering the AMABL 210, which has a smaller footprint, along with the 25LV mill. You certainly produce some fantastic models. Managed to find the space and now have the WM240B delivered and installed. I was going to do the same thing but decided the extra weight of the SX2.7 was too much and didn’t want to shift over all my DRO hardware. So I’ve upgraded my modified XJ12-300 with all of the SX2.7 electronics in standalone control boxes leaving the head clear for better work visibility. 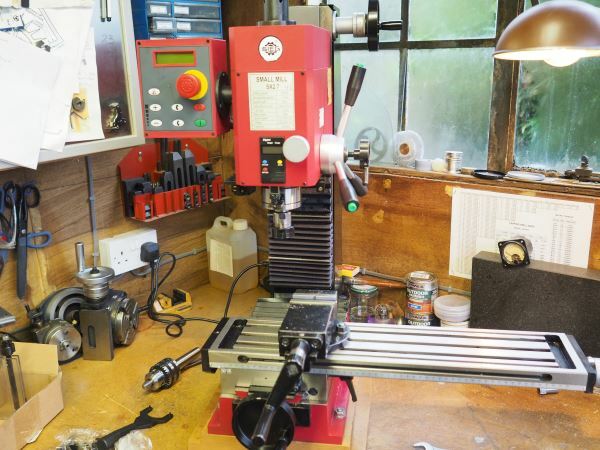 The quieter 750w BLDC motor and push button controls make machining a doddle now.